Mark your calendars ladies and gentleman for Tuesday, July 16th...there's a new player on the culinary scene: BLOOM I am a bit biased as it's located in a dear friend's space in Wynwood, the iconic Dorissa building where she holds the Miami Biennale, a great not for profit that supports and promotes all the arts in our community. 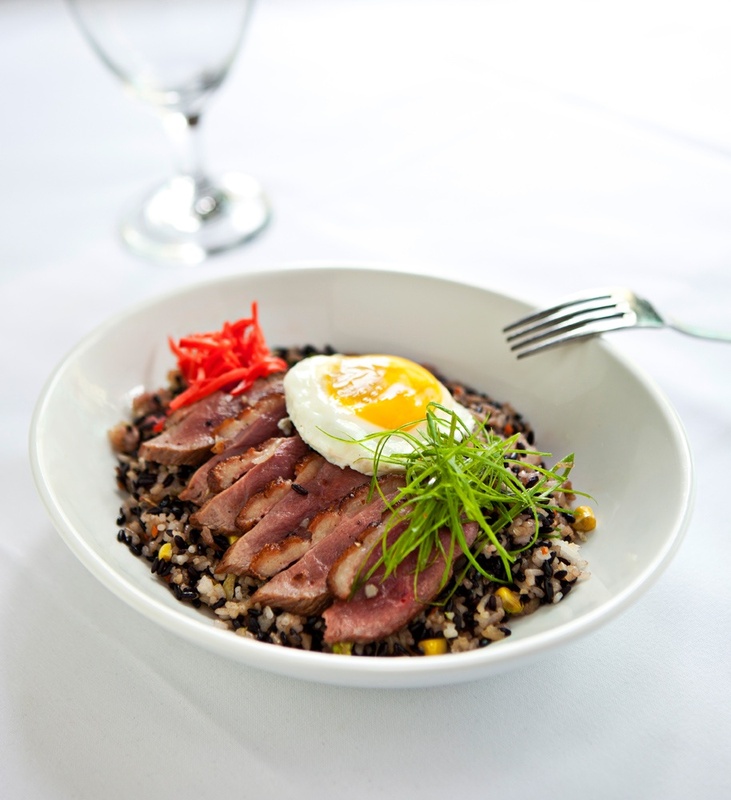 Ok, back to the delicious dish featured above: The Duck Forbidden Rice prepared with black rice, duck confit, duck eggs, and veggies. As you may know, Johnny boy is of asian descent, specifically Chinese, so you know I love me some Duck Fried Rice. My other love is latin food...from ropa vieja to braised oxtail, I have to get my fix of both daily. That is why Bloom intrigues me so much...Can Johnny Boy get the best of both worlds in one restaurant? Jose Miguel Sarti and Sebastian Stahl are the geniuses behind this new restaurant, bringing simple asian + latin food to the next level. I can't wait to try out their menu + their drinks: one of my fave mixologists Chris Hudnall created the menu. I know my first order will be the Forbidden Rice and anything Hudnall has created. Party people take note, it is located across from the Electric Pickle. I have coined our group of writer friends as The Brainy Bunch. We should have a Brainy Bunch dinner here. Whaddya say?